Reckless driving is a Class 1 misdemeanor in Virginia, and you will have a permanent criminal record if convicted. Unfortunately, you only have a very limited right to get a reckless driving conviction expunged from your criminal record. Here, we explain when this may be possible. When Can Your Reckless Driving Conviction Be Expunged? When a conviction is expunged in Virginia, all records of your arrest and court case are removed from your criminal record. This can be a huge benefit to you because it cannot be accessed by employers, state agencies, educational institutions, and others. It would also allow you to treat the charge as if it never happened. Acquittal. If you were acquitted of the reckless driving charge by the judge, you may be able to get the arrest and acquittal expunged from your criminal record. No prosecution. If the prosecutor decided not to prosecute your case, which is referred to as a nolle prosequi, you are eligible to petition for expungement of the case record. Otherwise dismissed. If the charge was dismissed without any finding of sufficient evidence to support a conviction and without any plea of guilty or no contest by you, then you may be eligible for expungement. Amended charges. The Virginia Supreme Court has held that a person who is convicted of an amended charge that is not a “lesser included offense” is eligible to expunge the original charge. This means that if you were charged with reckless driving, but the prosecutor offers to amend the charge to failure to pay full time and attention, defective equipment, or a number of other charges that are not considered lesser included offenses, then the original charge of reckless driving may be expunged. However, the other elements of expungement must also be shown to the court. If you are facing a reckless driving charge, or if your reckless driving charge has been dismissed or amended to another charge and you would like to expunge the original case record, our experienced attorneys can help you. We represent clients in Fairfax and throughout Northern Virginia. Call our Fairfax office or start an online chat to schedule your free consultation today. What Kind of Evidence Can Help in My Reckless Driving Case? Can I Get My Reckless Driving Charge Reduced to a Less Serious Offense? 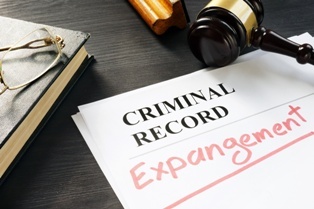 Can I Get an Expungement in Virginia?